I don't know where April went...but wow it flew by! If you missed anything on Silhouette School - and we were jam packed with Silhouette tutorials, tips, tricks and free designs - we've got ya covered! Like we do every month I'm sharing a wrap up of everything we covered. 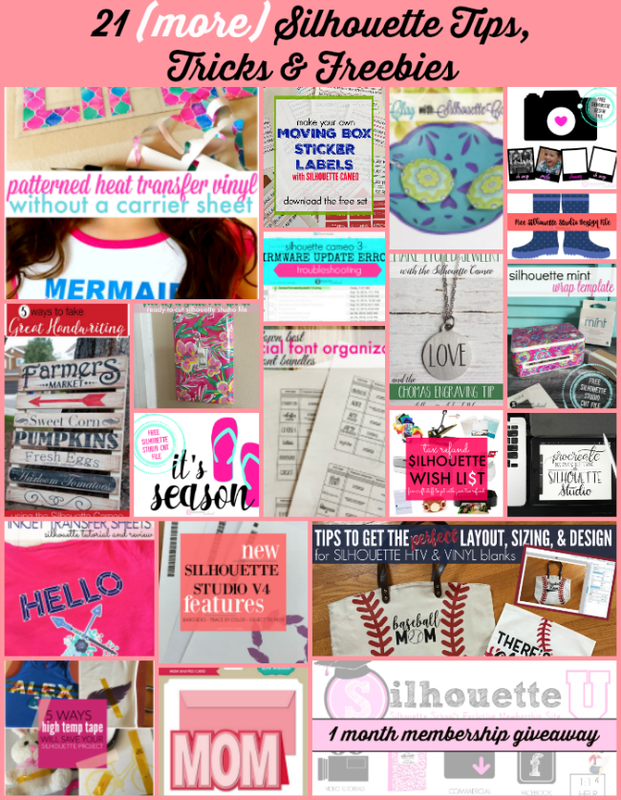 So here are the 21 Silhouette CAMEO tips, tricks, helpful hints, free Silhouette designs and more that were shared in April 2017! Game Changing Way to Organize Commercial Fonts! I am curious about these beautiful Bundle packages that are available for purchase. How do people use all these fonts, as the Silhouette simply cuts and does not have a great way to fill in. I am new to the print and cut. But do people mostly use them more to print out wording for cards and such? I am just wondering, thanks.